Coloring your hair shouldn?t be a scary thing. Whether you want to hide a few greys or go bold with a new vibrant haircolor, the process of dying your hair isn?t actually that alarming. Think of haircolor like makeup. For instance, like your go-to foundation, haircolor has the power to hide imperfections (read: greys, brassiness, and dull tones) and create a flawless base. Also, like your favorite eyeshadows and highlighters, haircolor can transform your look and illuminate your complexion. It?s a pretty cool thing! However, the transformative process of haircolor often gets lost behind claims of damage and breakage. With all of these unchecked assumptions out there, it?s no wonder that some are a little weary of how haircolor can affect their strands. 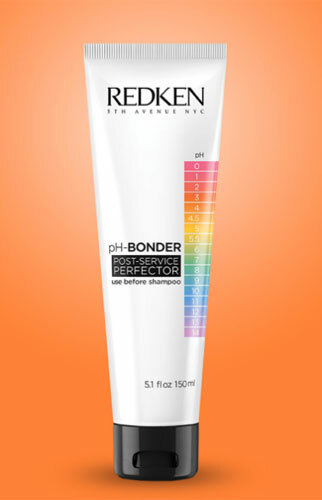 To help clear up the confusion, Global Redken Artist Sean Godard weighs in on some of the web?s most popular haircolor theories to set the record straight. HAIR MYTH #1: ?COLORING YOUR HAIR WILL LEAVE YOUR STRANDS DRY AND BRITTLE? HAIR MYTH #2: ?CONSTANT HAIRCOLORING STRIPS AWAY SHINE?